6 years ago today…where has the time gone? 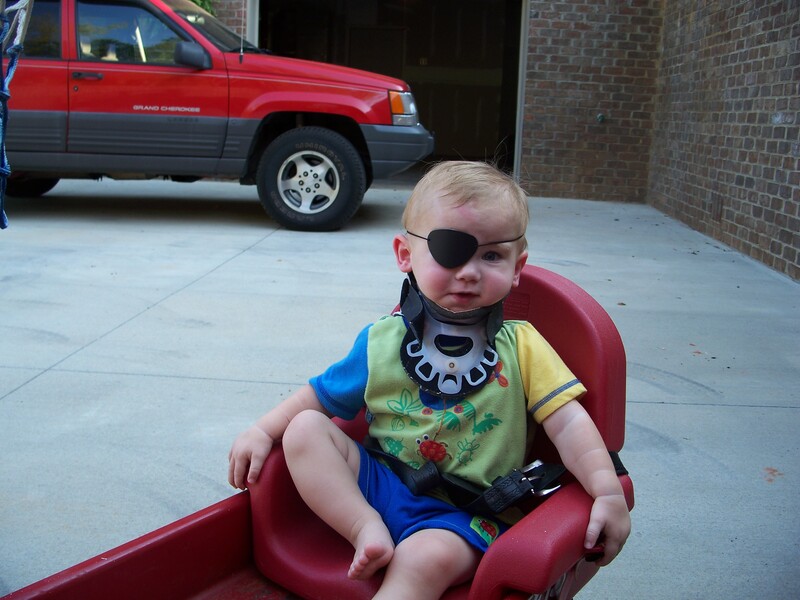 Here are 2 links if you want to read more of our story. This link was done by a local news station 3 days after the wreck. Jeremy wrote this one for the Summit a year or so ago. Today, though, I have something special I want to show you. It’s an attempt on my part to celebrate all God has done in the past 6 years and all we trust He will do in the future. It’s our “official adoption video!” Birthmoms will look at this along with our profile book when choosing a family. I’m so thankful to Jeremy for putting the video together. Heaven knows I had no idea how to do it! I finally got to run!! On Saturday night I ran. I’ve been waiting to do that for 6 years. 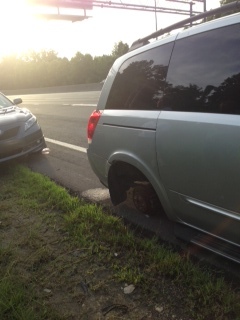 On the way home from dinner we lost a tire…literally…check out the picture. And when Jeremy smoothly maneuvered our noisy, shaking van over to the side of the highway, I ran. I got the boys out, and we headed to the side of the road. I ran because I was scared. The sounds of cars flying by brought back new memories; ones I never even knew where there. I ran because the thought of helplessly sitting there was too real to relive. I ran because finally, after 6 years, I could. I could grab Stephen out of that car and high-tale it somewhere safe. Somewhere away from the fear, and the smells, and the pain. Somewhere far away from the uncontrollable. The last time we sat on the side of the road that’s all I wanted to do. Grab Stephen and run far away. Sometimes in my mind I still want to do that. I want to run away from these memories and the pain they still bring.